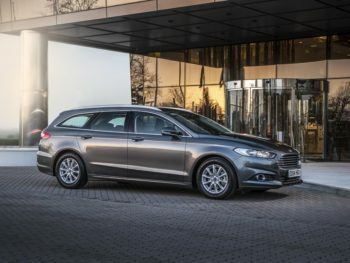 The 30% of Mondeo customers who choose an estate will be able to opt for a hybrid. The Mondeo hybrid, which uses a 2.0-litre petrol engine, continuously variable transmission and 1.4kWh battery under the rear bench, has so far only been available as a saloon – arguably limiting its uptake, as this is the slowest-selling bodystyle for the car in the UK. Launching it as an estate enables Ford to offer an alternative to diesel for the 30% of British customers – private and business – who opt for this bodystyle. It follows an increased fleet sales forecast for the hybrid this year, because of rising sales inquiries in 2017, according to head of fleet, Owen Gregory. Pricing was also aligned with the equivalent diesel at the start of the year.